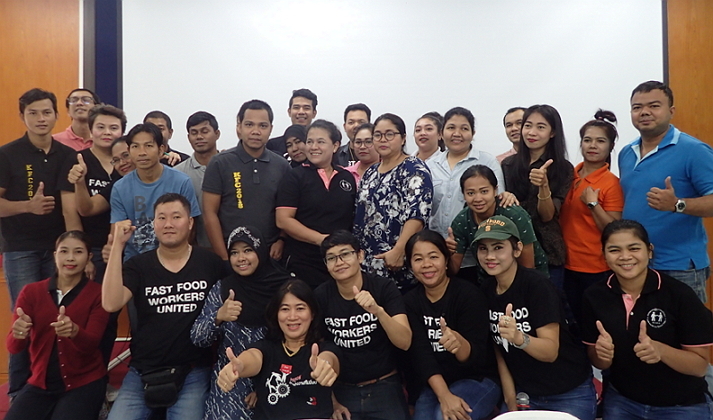 The IUF-affiliated Cooks & Servers Workers' Union and the Cuisine and Service Workers' Union secured significant improvements in benefits and working conditions for workers at KFC outlets across the country. In addition to improved benefits, the agreements recognize crucial trade union rights, including the right to union representation in any dispute or grievance, union intervention in any warning or disciplinary action and paid trade union leave. The two collective agreements signed and formally registered with the Labour Department are among the very few private sector agreements to include such provisions in Thailand, where freedom of association and collective bargaining rights are severely restricted.